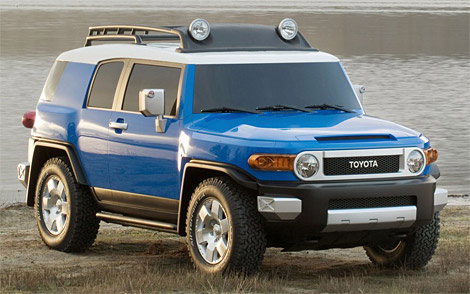 The 2007 Toyota FJ Cruiser is a nostalgic car, styled after Toyota's FJ-series Land Cruisers from the 1960s. Although the FJ Cruiser makes Toyota's second compact SUV (the RAV4 being the other) this vehicle is aimed at a younger, more aggressive driver who intends to take his car off-road. The 2007 Toyota FJ Cruiser is available in automatic and six-speed manual. 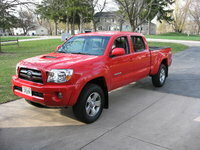 The automatic comes in both a two-wheel drive version and a 4x4, while the manual comes in the 4x4. The 2007 Toyota FJ Cruiser immediately grabs attention with its round, retro headlights, contrasting roof and wrap-around rear windows. Although it hasn't been out long enough to see if it lives up to Toyota's reputation for reliability, users report that the 2007 FJ Cruiser feels solid and sturdy, and drives comparably with the 4Runner. The FJ Cruiser's interior is described as "industrial," which features like rubber mats instead of rugs. 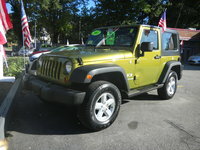 One quirky feature is the center console, which in some packages comes with accents that match the exterior color. Drivers complain that the FJ Cruiser's visibility is very limited, especially towards the side and rear, although extra-large side mirrors pick up the slack somewhat. Another issue is the small backseat, which is difficult to climb into despite the suicide-style doors. What's your take on the 2007 Toyota FJ Cruiser? Robertcivic I agree , tge back seats are tough to get into and the big nutrors block the side view. 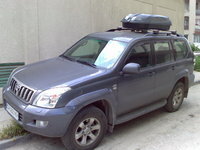 Users ranked 2007 Toyota FJ Cruiser against other cars which they drove/owned. Each ranking was based on 9 categories. Here is the summary of top rankings. Have you driven a 2007 Toyota FJ Cruiser? My 2007 fj cruiser started and then shut down. It had been setting for 9 hours. The AT temp. gauge was illuminated. Is there a reset procedure for the sensor or a possible quick fix. I was wondering if the Fj Cruiser has a different key for the doors and a different one for the ignition?